Cynicism is easy. When I first saw the Broken Sidewalk coverage of proposed changes at 1904–1908 Bardstown Road, my reaction was negative, definitely not hopeful. Cynical. I posted on Facebook that the case was “a good example of our broken Land Development Code” without giving the review process a chance to work. 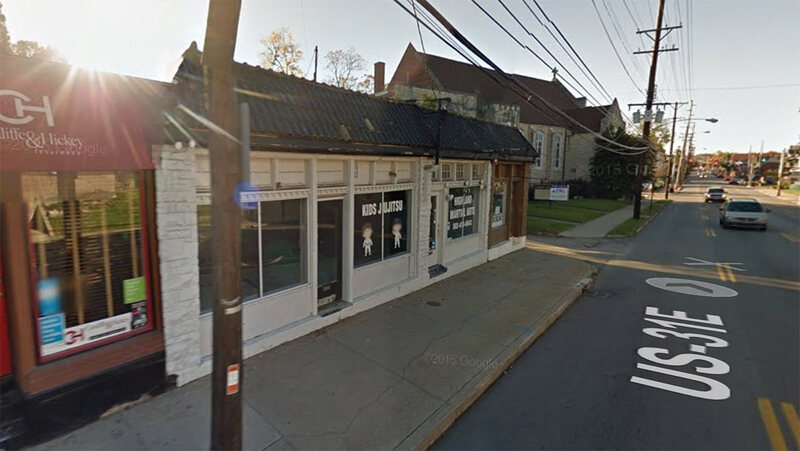 In the end, the changes that are taking place at this small storefront should illustrate a success story for the Land Development Code and the Bardstown Road / Baxter Avenue Overlay District (BROD). 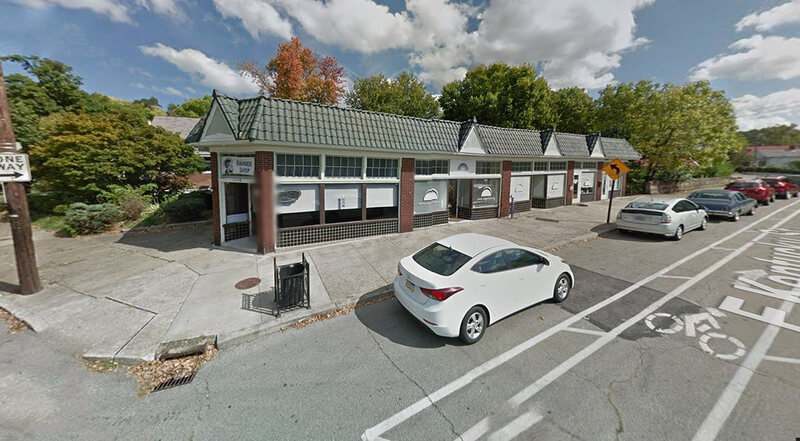 The property owner, Mr. Kevin Oetken of Nance Realty, apparently not realizing that the modifications he undertook without approval were subject to the BROD’s guidelines, began renovations on this property in April. Metro Planning & Design was made aware of the work on April 22, and immediately visited the site to review the work already undertaken and issue a Notice of Violation and Stop Work Order. The structure’s tile roof and wood framed storefront system had already been removed before Oetken was made aware that the work was non-compliant. The Metro Planning & Design staff helped Mr. Oetken complete an application for an Overlay Permit, completed and submitted April 25. According to the application, the tile roof had been in bad condition, had been painted over the years, and likely wasn’t even the original tile. A roof inspection report, including descriptions of bad flashing and coping, was provided with the application. 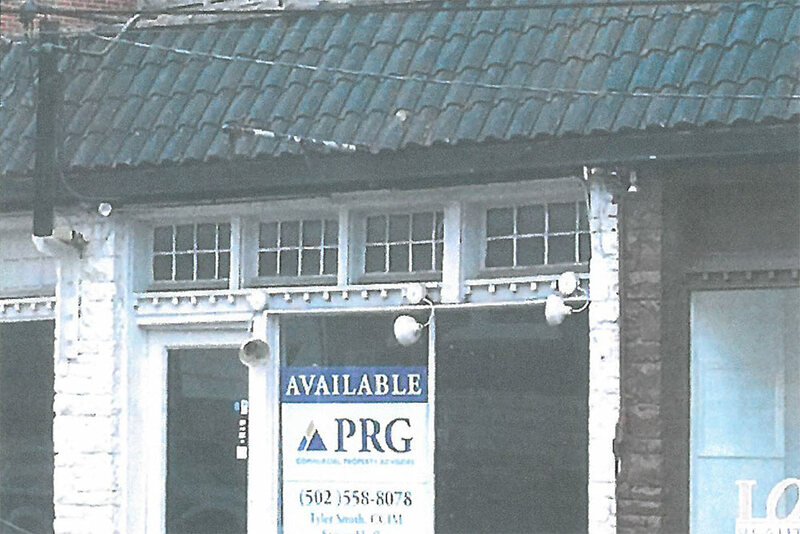 Mr. Oetken requested approval of a new storefront system—already installed by the time of the application—and replacement roofing. A staff report was prepared and the case scheduled to go before the BROD on May 24. Planning & Design staff David Marchal and Burcum Keeton prepared the report: a clear and concise statement of the events leading to the changes, a comparison of the existing conditions to the proposed modifications, and how the changes measured up against the requirements of the BROD guidelines. The report clearly was holding a strong line in defense of the existing character of the building, a position which protects the integrity of structures all along the Bardstown Road / Baxter Avenue corridor from inappropriate changes. 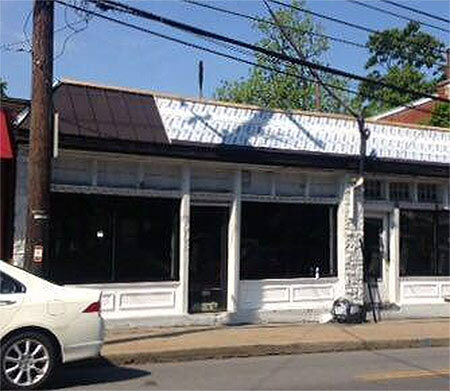 The Committee discussed the significance of the tile roof and the value that the building added to the fabric of the Bardstown Road Corridor. The Committee discussed the variety of architectural roof products available that could restore the building’s historic integrity. The applicant was amenable to the change in roof materials from metal to one that would replicate the appearance of the tiles previously used. The Committee discussed the storefront changes to the building and how the changes made by the applicant impacted the historic integrity of the structure. The storefront windows were studied, and the Committee concurred that the aluminum storefront system as installed was an appropriate treatment to the storefront. Documentation showing the original storefront was not found, and it was determined that the previously installed wood storefront configuration would have been a modern day installation. The Committee also reviewed the request for approval of new doors. The Committee made a recommendation that the new doors be of a more traditional, historic configuration with emphasis on the stile and rail dimensions. The doors as drawn in the applicant’s elevations were determined to be more of a ‘suburban’ style and not an appropriate selection. The Luon panels, like the storefront windows, were determined to be a modern installation and not a historic element of the building. Creating a new panel system would add to the cohesiveness of the structure with its adjacent building storefronts. For each of these decisions, Mr. Oetken agreed to work with Metro staff to arrive at products and design strategies that would be consistent with the committee’s findings. The necessary actions will include removal of the few panels of standing seam metal roofing that had already been started. Subsequent to the committee meeting, the owner has already begun submitting samples and product information to Metro Planning & Design staff. Staff, for their part, are helping the owner through the process, assuring that the result will be in compliance with the committee’s decisions. The Land Development Code, Landmarks, and their associated neighborhood and corridor guidelines and committees are often attacked as burdens to development and unnecessary bureaucracy. It’s true that there is some necessary education of the owner or developer regarding the standards that must be met. It’s also true that use of appropriate materials and pursuit of complementary design strategies may involve more cost than use of inexpensive baseline materials installed using typical contemporary building practices. The results in this small project, however, are a good illustration of how these processes—and their implicit constraints—protect the character of our neighborhoods. The project trajectory shows how a review committee and Metro staff can provide helpful guidance to an owner in completing work satisfactorily. Ultimately, Mr. Oetken’s investment in not only the maintenance but the architectural integrity of his property will be of benefit to him as well as to the neighborhood—and to our shared architectural legacy. Kudos to all involved! Despite popular cynicism, our regulations and the associated review processes help all of us. This is how things are supposed to work. How do the stores on Bardstown Rd. such and the horrendous nail salon next to Bearno’s or the one next to Chuck Rubin’s get approved? How do they add to the historic fabric of Bardstown Rd. ?